Happy Monday y'all, it's so good to be back in Charleston! I just got back last night from a weekend of skiing in Snowshoe, which was so much fun! It snowed seven inches Thursday night/Friday, so needless to say I'm happy to be back in my 70 degree weather! 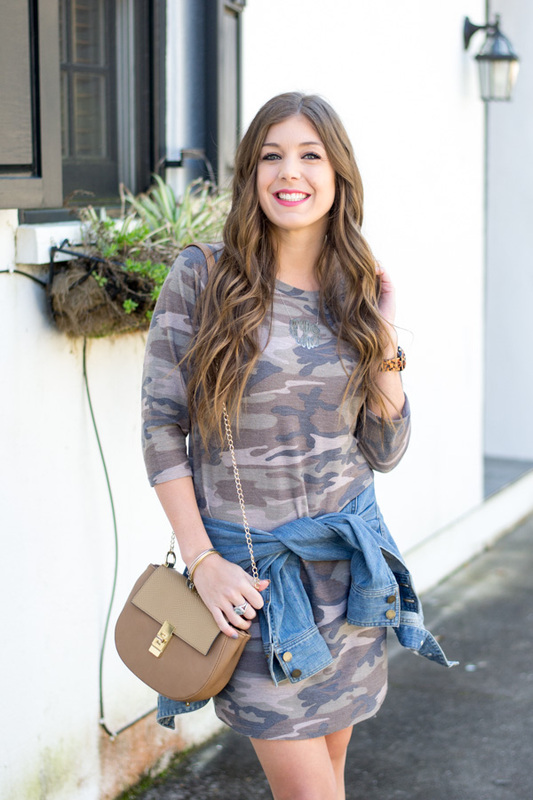 Speaking of warmer weather, in today's post I'm showing you how you can style camo for spring! Usually for spring I tend to gravitate towards pastels and neutral colors, but I'm not ready to give up my camo quite yet! 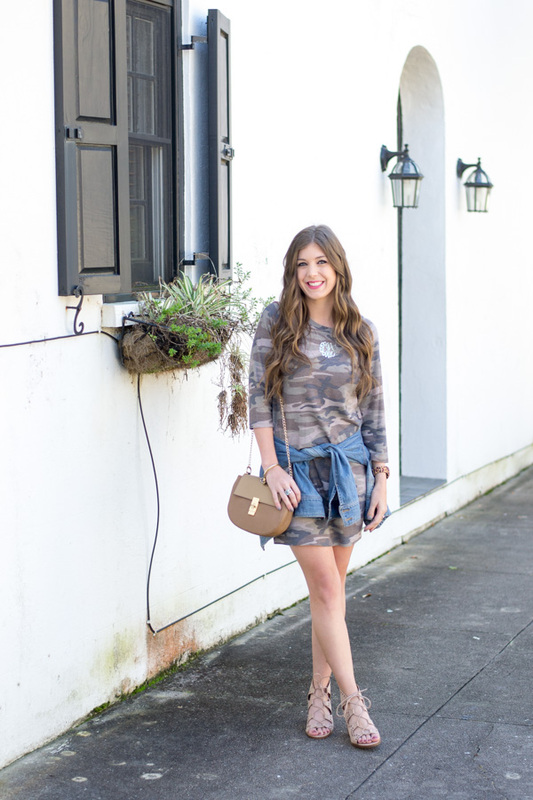 All it takes is the right pair of shoes and a jean jacket to take your camo from winter to spring! You still have time to enter our $1,000 Target gift card giveaway! Enter at the bottom of this post! Good luck! Camo is my favorite! I almost bought a dress like this from Shop the Mint. I love! I love how you styled this! Camo is great for all year! That camo dress is so good! I wish it was still available, I'd totally get it! 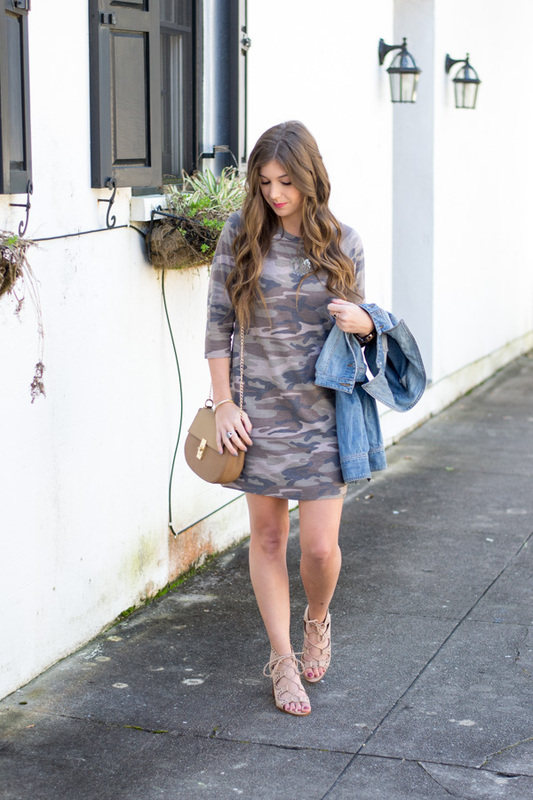 I am loving this camo dress! It is so chic for spring, especially with that jean jacket! Okay, I NEED this dress!! It would be so cute paired with some white tennis' too! Love camo! Cute paired with the denim jacket! You're so pretty! I love the camo and the denim jacket tied around your waist! So cute! Perfectly done! I love this dress, it looks so great with the denim and sandals. I love this dress and how you styled it! 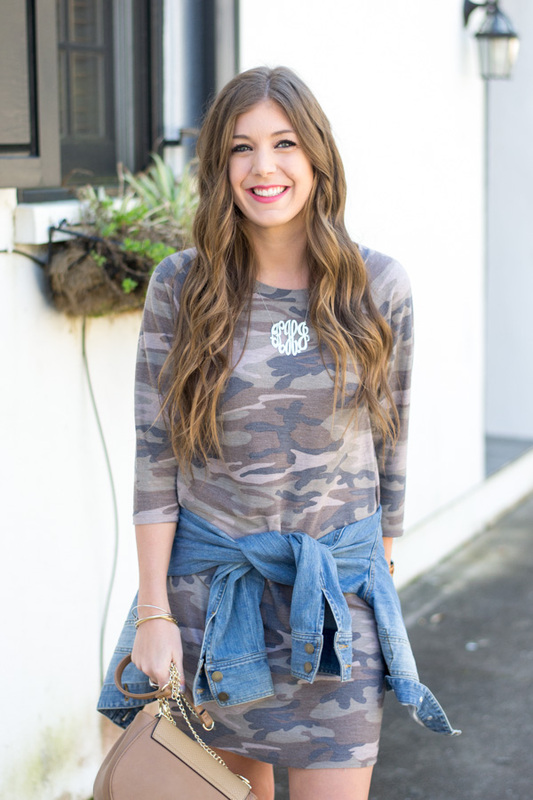 I've always wanted to try and style camo, but have yet to make the jump, but I absolutely love this look on you so I may just have to try it out! 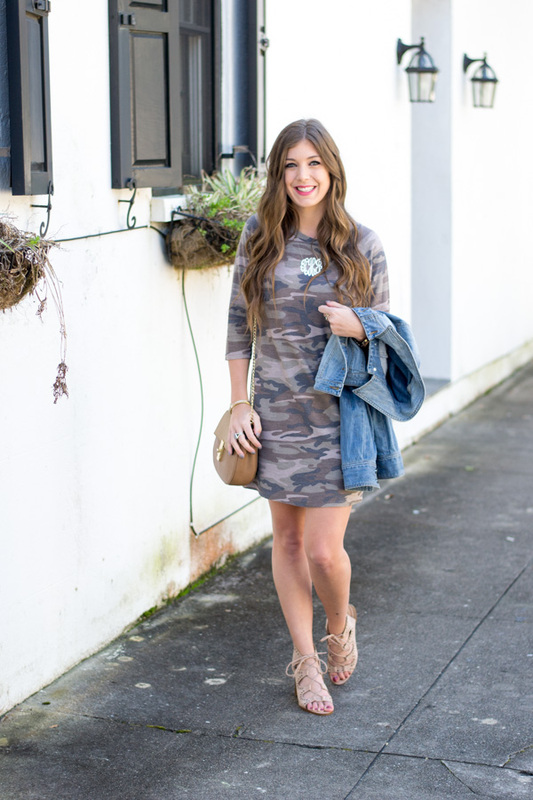 This is such a cute camo dress! Don't have too much camo in my closet, now I should look for more camo pieces, haha! Looks like something fun to style! 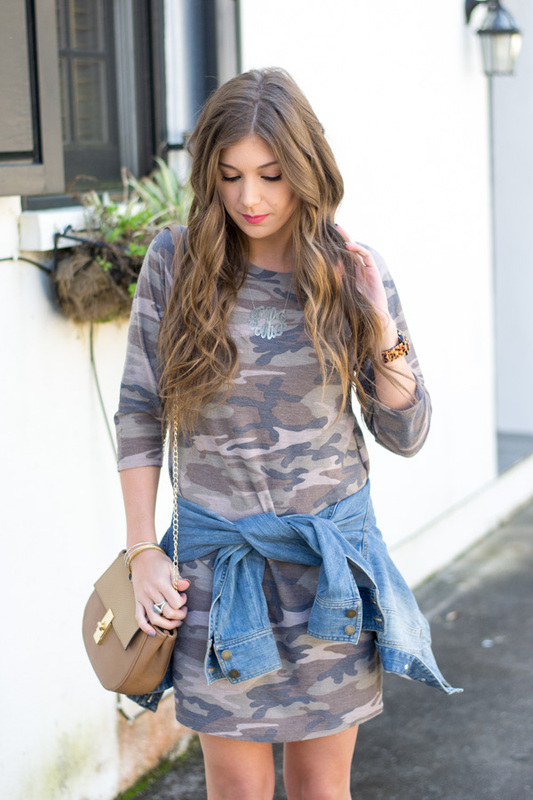 Love the camo and denim combo! So fun! you make camo look GOOD my friend!!!! 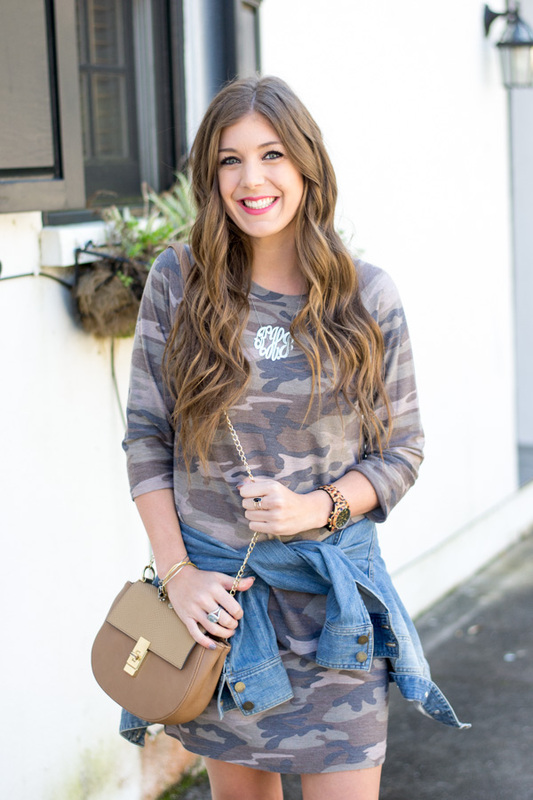 Camo can be quite difficult to style, I love how you've paired it up! You made camo look so cute and girly! Love it paired with the tan accessories. You are really bold this choice! I don't know many people who tackle on camo at all. Props to you, you do your thang!!! 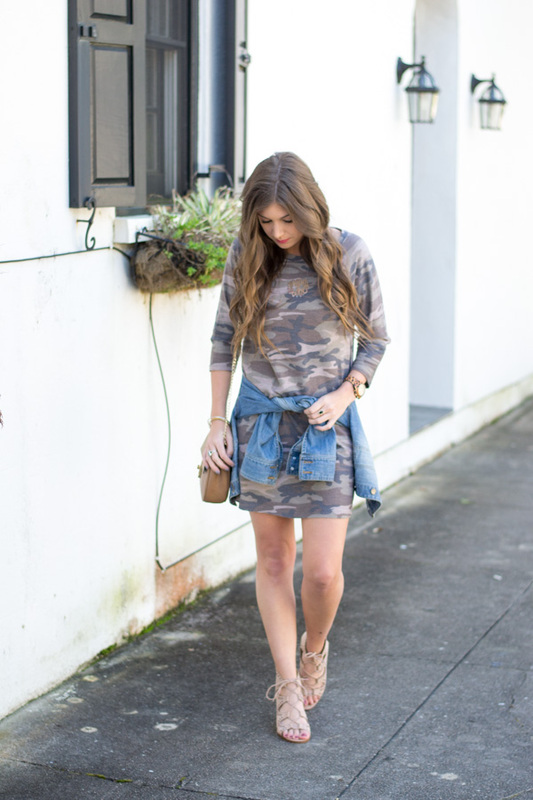 LOVE how you styled this camo dress! You made it so feminine and chic. Such a cute spring look! The view of the picture is great.